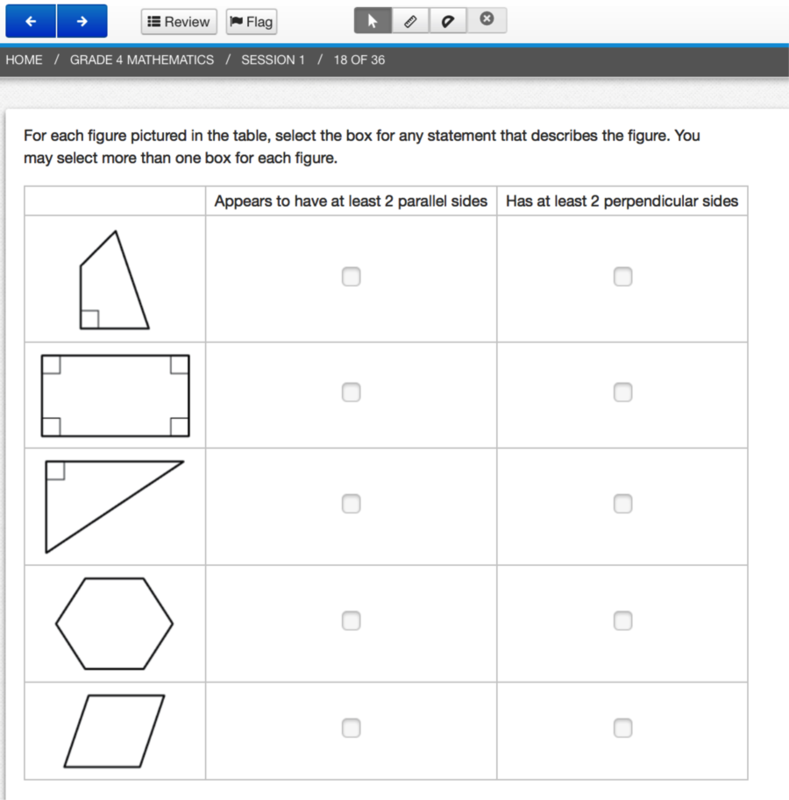 I noticed the following question on the PARCC Grade 4 Mathematics EOY Spring 2014 release practice test. I am not sure why this question struck me as questionable. It must have gone through quite a bit of review to have made it to the release. I wonder what it means for a side to be parallel. I wonder what it means for a side to be perpendicular. How many perpendicular sides would you say a rectangle has? How many pairs of perpendicular sides would you say a rectangle has? PARCC defines a trapezoid as a quadrilateral with at least one pair of parallel sides. How many parallel sides would you say the following figure has? 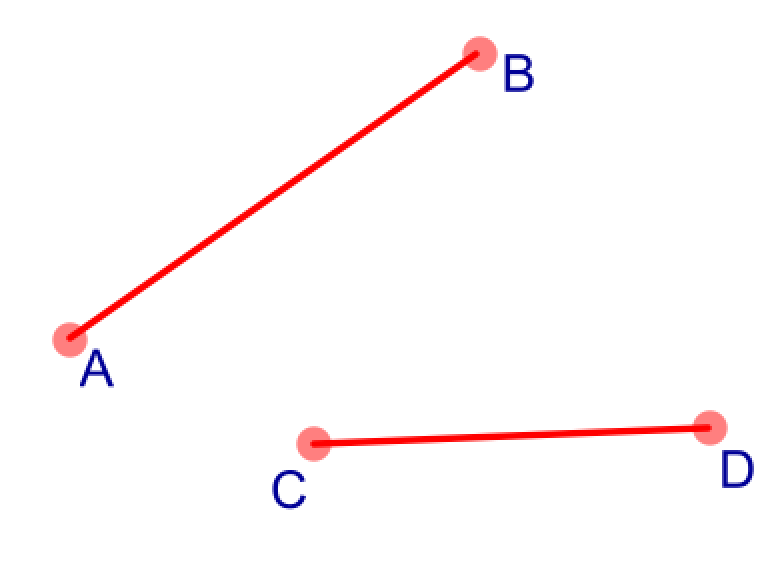 Would you say that the figure has 3 perpendicular sides? I recently read through Wu’s Teaching Geometry through the Common Core Standards paper where he says “Perpendicularity is one of two special relationships between two lines. The other is parallelism.” He warns us to limit our talk of parallelism to lines, since there are many segments that do not intersect for which the lines that contains them do intersect. Wu goes on to define a parallelogram as a quadrilateral with opposite sides parallel, and so I know that we mean the lines that contains the sides. But somehow the language of this question strikes me as suggesting a side can be parallel on its own. Can someone convince me that it is okay as written? I cannot convince you. You are correct, it should read “at least one pair of parallel sides” and “at least one pair of perpendicular sides”. I almost think that a better questions for the students would be to give them the question as written and then ask them what is wrong with the language of the problem. Isn’t that what we are asking of our students? To be able to identify the errors and build on them? Absolutely. Sometimes I forget about giving students a question and asking them to make it better. Thank you!